Background: The use of alternative treatments for illness is common in the United States. Practitioners of these interventions find them compatible with personal philosophies. Consequently, distant intercessory prayer (IP) for healing is one of the most commonly practiced alternative interventions and has recently become the topic of scientific scrutiny.Purpose: This study was designed to provide a current meta-analytic review of the effects of IP and to assess the impact of potential moderator variables.Methods: A random effects model was adopted. Outcomes across dependent measures within each study were pooled to arrive at one omnibus effect size. These were combined to generate the overall effect size. 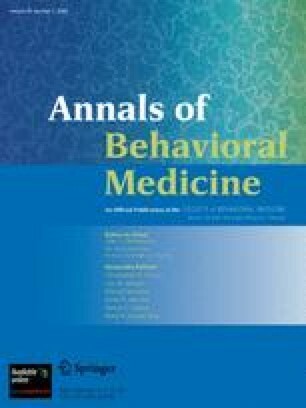 A test of homogeneity and examination of several potential moderator variables was conducted.Results: Fourteen studies were included in the meta-analysis yielding an overall effect size of g = .100 that did not differ from zero. When one controversial study was removed, the effect size reduced to g = .012. No moderator variables significantly influenced results.Conclusions: There is no scientifically discernable effect for IP as assessed in controlled studies. Given that the IP literature lacks a theoretical or theological base and has failed to produce significant findings in controlled trials, we recommend that further resources not be allocated to this line of research. Jason T. Goodson is now a postdoctoral fellow at Dartmouth University. A previous version of this study was presented at the 113th Annual Convention of the American Psychological Association, August 2005, Washington, DC.